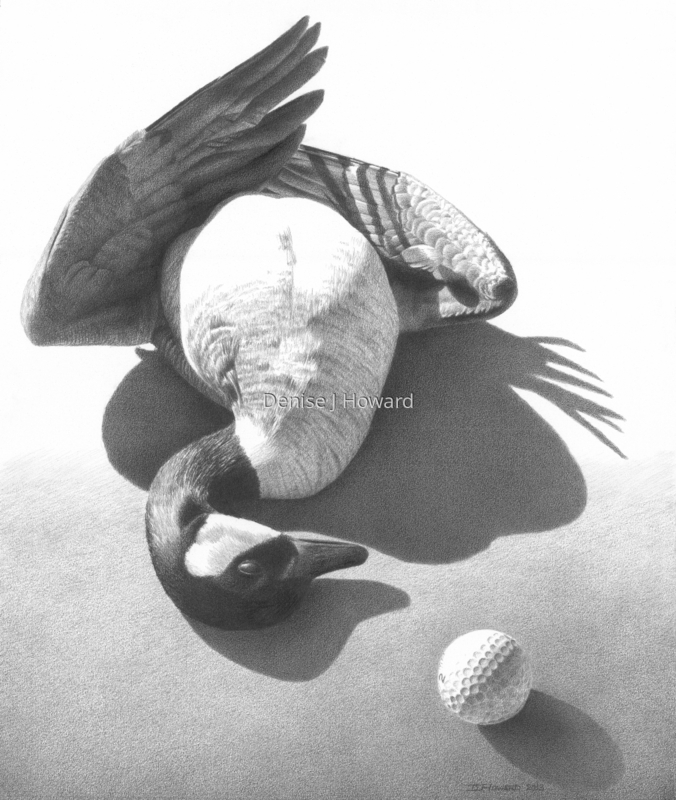 Wild Canada geese and golf courses don't mix well. The results are tragic for the geese all too often. I found this scene while walking next to a course. Graphite on vellum bristol. 6" x 5"11.75" x 10"17.75" x 15"23.75" x 20"